Danger from above: Snakes can glide like an airplane. What's more, they can change direction mid-air and sail the length of a tennis court. The snakes we're talking about are a South and Southeast Asian variety called paradise tree snakes. The snakes are part of a larger genus of airborne serpents called Chrysopelea. They live in a jungle habitat, gliding from tree to tree and can grow to be four feet long. Though they're poisonous, their venom is not harmful to humans. Jake Socha, a biologist from Virginia Tech, studied the snakes' flying behavior, launching them from a 50-foot tower. The researchers discovered that as a snake falls, it flattens its belly, turning itself into a long wing. They saw that the snakes angles their bodies 25 to 30 degrees relative to the wind in order to generate lift. This is the same as holding your hand out of a car window at a small angle to have the wind lift it up. "The snake creates lift using a combination of its flattened cross-sectional shape and the angle that it takes to the oncoming airflow, known as the angle of attack," Socha said to Discovery News. The flying reptiles also continued their slithering motion during flight, gliding in an 'S' shape. The researchers theorized that the shape might allow the front of the snake to create a wake for its rear, streamlining flight in the same way the 'V' formation aids geese aloft. Researchers also noticed that the snakes somehow steer themselves and change direction during their flights. The furthest a snake glided during the tests was 79 feet - about the distance of a tennis court, or one fourth of the way down a football field. The researchers also conducted aerodynamic tests on plastic snakes dipped in a water tunnel and ultimately came up with a mathematical formula to describe the snakes' gliding behavior. The project was funded by the Pentagon and the results might be used to develop something like a flying snake robot used in search-and-rescue missions. The paper, published in The Journal of Experimental Biology, could also help scientists understand more about other creatures that glide. The research was also presented at the American Physical Society's Division of Fluid Dynamics meeting this November. What makes a movie science fiction versus fact-based non-fiction, like Apollo 13 or October Sky, or another genre altogether? It's a tricky question and one that made my colleagues pause for a healthy Monday-morning head-scratching session. Think you know? Leslie Neilsen - the star of "Don't call me Shirley" fame - died this weekend of pneumonia. He will be missed. Though he was a fantastic comedic actor, Neilsen actually got his start in dramatic films, including one of my favorites - Forbidden Planet. Musing over the glory days when all science fiction movies had f lying saucers* in them, we turned to a question so broad that the only way to solve it was to create a flowchart: What qualifies a movie to be labeled 'science fiction'? The answer is above. 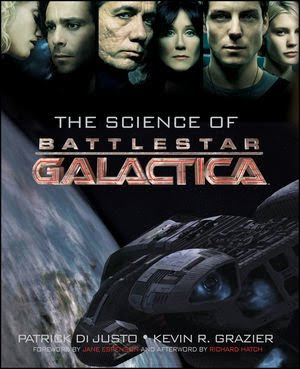 Since no one would agree with me 100 percent on the definition of what constitutes a science fiction film, I welcome your thoughts on where the chart fails (even though it doesn't). *We also spent a good half-hour harping over the question of "Whatever happened to flying saucers anyway?" The answer: Back in the fifties and sixties, the government was experimenting with making Frisbee-shaped flying machines. They never took off (pun intended), however, because of their inherent lack of stability. There was moderate success with the Avrocar, but it was ditched in favor of a more practical vertical take-off and landing vehicle: The helicopter. Thanksgiving: It's a day dedicated to turkey, dressing, and, of course, football. Football is a sport almost made for physicists. Newton's three laws of motion are at work during every play and little things like the unpredictable bounce of the "prolate spheroid" - the football - can throw kinks into a game no physicist, player or fan ever saw coming. While some observers see only carnage and chaos, brilliant athletic performances and bone jarring collisions, the science-minded see the field as a working laboratory. Newton's laws of motion are the superstars of pigskin physics, explaining a lot of what goes on on the field. Newton's first law tells us that an object either at motion or at rest tends to stay in that state of motion or rest. The heavier the object, the more it wants to stay in a steady state. Thus, a big linebacker is hard to push around. How is it then that a little guy like a small defensive player can tackle a bigger running back? It's possible thanks to two things: Torque, or the measure of rotational force, and a player's center of mass, which is explained later. To understand how torque works, stand next to a swinging door. First, push the door open with your hand on the opposite side from the hinges - about three feet from the axis of rotation or the imaginary line the door swings around. It opens pretty easily. Now, place your hand very close to the hinges - close to the axis of rotation - and push again. It's much harder this time to open the door. This is because you have more torque when you're at a greater distance from the axis of rotation and a bigger torque is better at moving an object around that axis. But torque alone isn't responsible for the tackle. A player's center of mass - the point where gravity acts on an object - also has to be considered. A player's center of mass is near his stomach, roughly in the middle of the body. The center of mass is where the torque acts. The axis of rotation, the point the player's body rotates around, is the player's feet touching the ground. 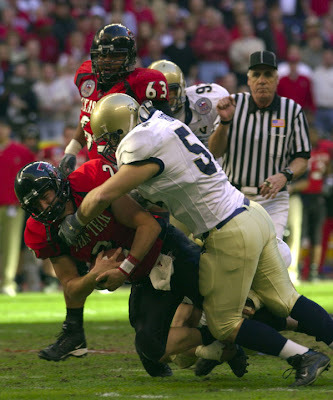 When a player crouches down, keeping low, his center of mass is closer to the ground. Therefore, the potential torque is small. Imagine that the center of mass is like your hand on the door; it's closer to the hinges - or the feet. This gives the player lower towards the ground the advantage. It's harder to push him around his axis of rotation. When the crouched player, whose center of mass is low, pushes on a standing or running player, whose center of gravity is higher, it's easier to push the upright player around his own axis of rotation, since his center of mass is further away from the axis. More torque. There are, of course, more forces at work in a tackle, so even the lowest of tacklers can still fail to lay out his target. Understanding torque, though, helps to understand how a little guy can take a big guy. This is just one example of physics at work in a football play. To see more football physics explained, like why a player with a quick 40-yard dash might be passed over for a player who's quicker off the line, check out these videos jointly produced by NBC and the NFL. A trio of physicists from the University of Toronto and Rutgers University have created a laboratory analogue for the type of supernova formed by the explosion of a white dwarf star. The initial explosion - called a flame front - starts within the star and balloons out, ejecting matter away from the star's core in a mushroom cloud shape. The highly energetic and super-bright matter wraps around the star and a supernova is born, as demonstrated in this University of Chicago video. 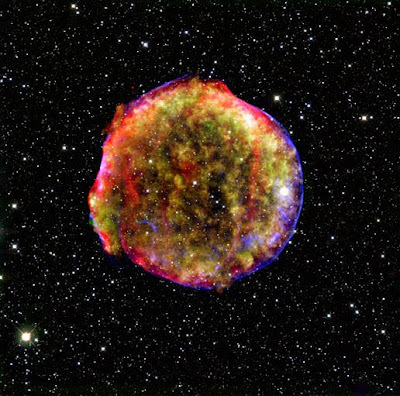 Already-formed supernovae are discovered by the dozens each year, but astronomers rarely observe the initial explosions, having the opportunity to do so only about twice a century. Now, a group of physicists have created a sort of flame front analogue resembling a lava lamp in their laboratory. The physicists filled a cylindrical container with water and glycerol - a sweet-tasting liquid that sometimes makes its way into low-fat cookies and can be used to thicken up liqueurs (or in this case, water). They then injected a water-based solution through a small tube at the bottom of the container. The solution reacts with the water-glycerol environment and becomes more buoyant, accelerating slowly to the top of the container. In their experiment, the physicists observed that with the right water-glycerol mixture, the solution would create the same mushroom cloud shape, producing what they called a "vortex ring" at the top. The vortex ring would eventually detach from the plume of the injected solution. Then the plume, undergoing a self-sustaining reaction with the water-glycerol mix, would form another vortex ring that would also detach. The process could be repeated several times before the plume reached the top of the container. The spawning of the doughnut-shaped vortex ring resembles the mushroom cloud ejection of matter during the birth of a supernova. The scientists also found that if they lengthened their container, more vortex rings could form before reaching the top of the container, meaning that the reaction could potentially sustain itself indefinitely. 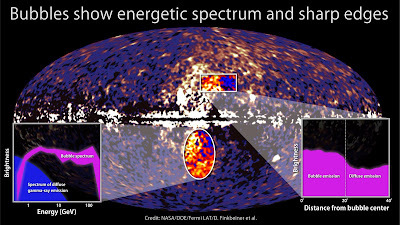 The high-tech lava lamp could give astronomers and physicists the opportunity to study the genesis of supernovae formation in the laboratory without having to wait 50 years for one to happen out in space. The physicists' paper is due to appear in the American Physical Society's Physics Review E journal. Nikola Tesla was born in 1856 in the former Austrian Empire. Regarded by some as a mad scientist, his innovation in the field of electrical engineering helped to spur the second industrial revolution. Tesla died in 1943 in New York City. Though he's hardly a household name in the U.S., his work remains a legacy that's ubiquitous in modern life. To complete the Tesla Mad Lib below, first, print out a copy of this post by going to File -> Print in your browser menu. Then, fill in the blanks at the top of the post with the appropriate parts of speech. Next, fill in the numbered blanks in the story with the words from the list at the top. Read out loud with friends and enjoy! Nikola Tesla was a (1) ____________ inventor and physicist who developed the energy generators that power our homes and (2) ____________. In 1884, at the age of 28, Tesla moved from his homeland of Croatia to New York City to (3) ____________ with the (4) ____________ inventor Thomas Edison. Tesla (5) ____________ Edison a letter of recommendation written by a mutual friend which said, "I know two great men and you are one of them; the other is this (6) ____________ man." Edison offered Tesla a $50,000 (7) ____________ if he could make Edison's direct current power system more effective. When Tesla presented Edison with an improved D.C. generator and asked for his bonus, Edison (8) ____________, telling Tesla that he did not understand the American sense of humor about money. Edison never paid Tesla one extra (9) ____________. Tesla quit Edison's company in disgust. He got a (10) ____________ job at a different electric company and worked on finishing his alternating current generator, far better than Edison's (11) ____________ direct current system. Tesla and Edison then competed to light up the Chica go World's Fair in 1893. 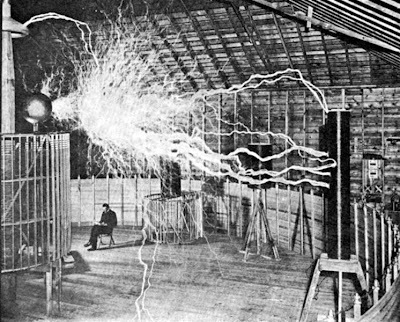 Tesla's alternating current (12) ____________ beat out Edison's design and the world got to see the (13) ____________ of the future! Later, Tesla demonstrated that it was possible to (14) ____________ electricity wirelessly. This invention would allow the average (15) ____________ to power a (16) ____________ from anywhere in a room. Tesla envisioned using wireless energy transfer to send energy across the (17) ____________ from the United States to Europe. 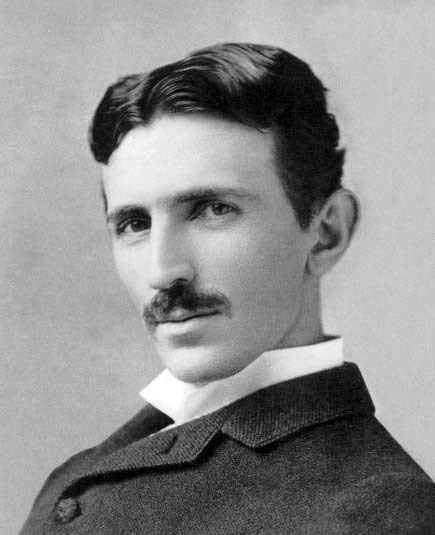 He built a (18) ____________ Tesla coil in New York to start his project, but it was destroyed during World War (19) ____________ because the government suspected it could be used by spies. 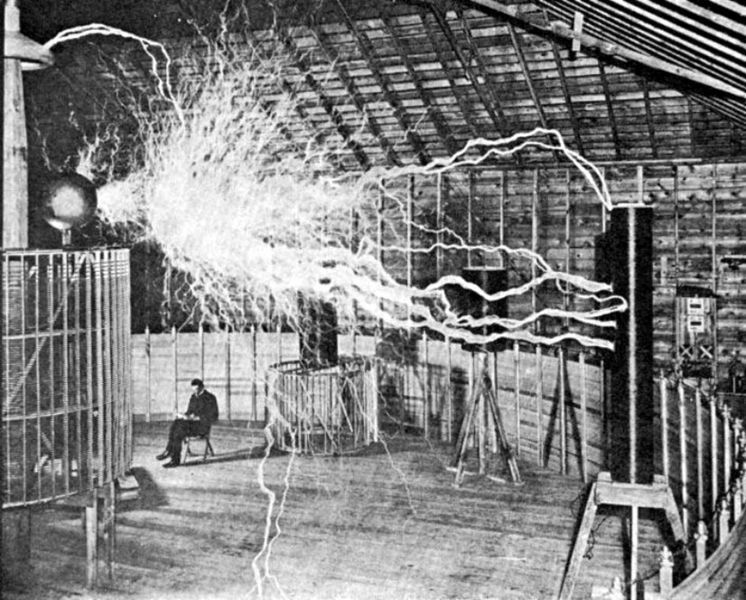 Some (20) ____________ still dream of fulfilling Tesla's dream, but others oppose his idea, concerned about health risks and the loud noise (21) ____________ by a Tesla coil. The (22) ____________ building still stands in (23) ____________, New York, to this day as a reminder of Tesla's amazing (24) ____________. It'll make you laugh; it'll make you cry. It's...Science!!! It's okay to be entertained by science. Really, it is. And when it comes to physics especially, science can be very entertaining. Just think about the Discovery Channel and the Science Channel. Think National Geographic , Popular Science, How It Works and Discover Magazine. All are about science. All are entertaining. A friend once told me that she never watches the Discovery Channel because she feels some sort of obligation to pay attention and retain the information being presented. I can see where she's coming from; science can be intimidating. But my message is simple: It's okay to watch scientific programming simply to be entertained. Just enjoy. I bet, without even knowing it, you'll learn something new without even trying. 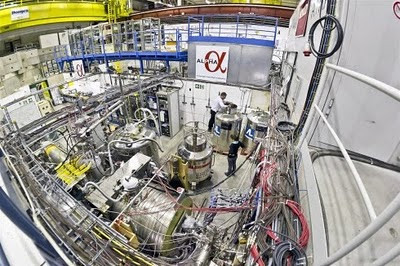 Now imagine if you can (and of course you can’t) shrinking one of those protons down to a billionth of its normal size into a space so small that it would make a proton look enormous. Now pack into that into tiny, tiny space about an ounce of matter. Excellent. You are ready to start a universe. Here, Bryson is tackling a tricky subject: The Big Bang. His writing is enthralling. It's insulting. And it's deliciously digestible. How about that for a trick? He's entertaining us while serving up a big slice of science. And we don't even care. We're just having fun. Gregory Volfovich Chudnovsky recently built a supercomputer in his apartment from mail-order parts. Gregory Chudnovsky is a number theorist. His apartment is situated near the top floor of a run-down building on the West Side of Manhattan, in a neighborhood near Columbia University. Not long ago, a human corpse was found dumped at the end of the block. The world’s most powerful supercomputers include the Cray Y-MP C90, the Thinking Machines CM-5, the Hitachi S-820/80, the nCube, the Fujitsu parallel machine, the Kendall Square Research parallel machine, the SX-3, the Touchstone Delta, and Gregory Chudnovsky’s apartment. I'll warn you, it's a long article, but when I first read it, I couldn't put it down. Here's a clip about a physics conundrum that happened in real life during NASA's Apollo 13 moon mission. It's from the incredibly accurate and detailed film Apollo 13 directed by Ron Howard which gained a 97% 'Certified Fresh' rating from Rotten Tomatoes - no mean feat. So there you have it. Try a new TV show. Pick up a new book. Surf the YouTube Science & Technology section. Read a magazine. And enjoy. Human fingers are pretty cool: They grip, they pinch, they squeeze. They can crush bugs and hold delicate crystal. They're amazing! Because of all the wonderful things fingers can do, it makes sense that we try to replicate them on our human analogues. 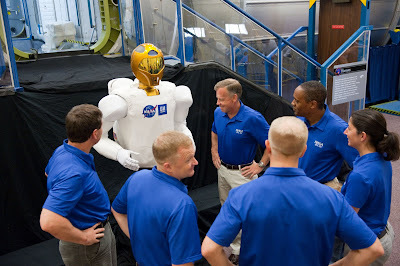 But recreating robotic fingers is difficult and can get rather costly. To overcome the challenges that come with creating a robotic hand, one group of scientists ditched human digits altogether and developed something far simpler but just as effective. Creating robotic replicas of human hands is troublesome. It's difficult to get the tension right to grip an object without crushing it. Computers can be strained when controlling multiple joints with umpteen degrees of motion. Instead of trying to replicate our dexterous little fingers, scientists at the University of Chicago and Cornell University opted for another approach, creating a robotic gripper. The team developed what they called a "universal jamming gripper" out of a latex party balloon filled with ground coffee and a vacuum pump. 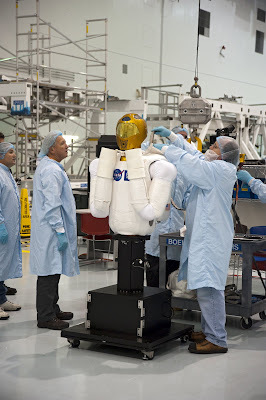 To operate the robotic appendage, the slack balloon is placed on an object which it surrounds with the loose coffee grinds. Then, the vacuum pump is turned on, sucking out the air inside the balloon. The fluid-like coffee grinds 'jam' into a rigid solid with a fixed grip around the object. Once the pump is turned off, the grains loosen up again and the object is released. Several types of granular materials were tried in early grippers including sand, couscous, rice and ground up tires. Sand worked the best, but was ruled out for being too heavy. Coffee grinds which jam nearly as well as sand but weigh far less were ultimately chosen. The gripper can pick up things that have stumped robotic hands in the past like coins and raw eggs. It does have some limitations, struggling with porous objects like cotton balls and failing to lift more than half its own weight. 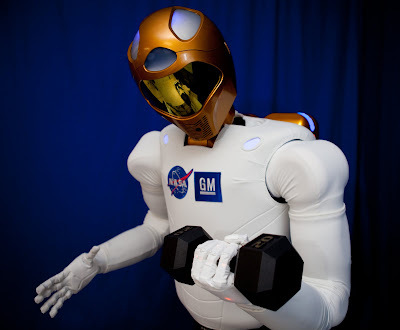 Even so, the four-inch diameter gripper that was created in the lab could pick up an eight-pound jug of water and the scientists speculate that a gripper with a four-foot diameter could lift a car. Though it doesn't much resemble a human hand, the gripper could be developed into a new type of prosthetic limb. Since it has only two modes - on and off - it would be easy for users to operate. It could also be used to clean up debris after a catastrophic event, such as the earthquake in Haiti. Two scientists at MIT used YouTube videos to help supplement their research on how cats' tongues extract water or milk from a bowl. The videos helped prove their formula describing the unique way felines draw liquids into their mouths. Roman Stocker first got the idea to study how cats drink from watching his own cat, Cutta Cutta, sup breakfast a three years ago. Lapping at 1 meter (or four sips) per second, a cat's tongue is working too fast for humans to see individual sips. To slow it down, Stocker and his colleagues did what any good scientist would do - they whipped out their high-speed camera and got some close-up footage of Cutta Cutta's tongue in action to analyze in the lab. They observed that a cat's tongue changes into the shape of a capitol 'J' when it is about to touch the surface of a liquid. The tip of the tongue is flattened and draws the liquid up into a column shape, formed by inertia. The cat's jaw closes over the liquid just before gravity acts to pull the liquid back into the dish. The scientists also found that cats naturally lap at the optimal frequency, instinctively maximizing the efficiency of the drinking process. Stocker and his colleagues then developed a mathematical theory to predict how lapping frequency would change with a feline's mass. Their theory predicted that a cat with greater mass would lap more slowly. To test their theory, the duo turned to Zoo New England who allowed them to film large cats, like lions, tigers and jaguars, as they drank. Stocker then realized that additional data was already freely available on the Internet in the form of YouTube videos of large African cats caught on film during safaris, for example. After analyzing the data, the scientists found that their theory was correct and that the frequency at which a feline laps water decreases as its mass increases. 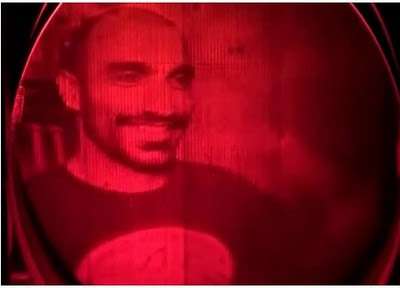 To watch an interview of Stocker and colleague Pedro Reis talking about their study, click here. To read the original paper, click here. The portions of universe that we can see appear to consist almost entirely matter, rather than an equal balance of matter and antimatter. At the same time, most of the universe seems to be made of something we can't see at all - dark matter. These two facts are among the outstanding puzzles in physics. A new paper proposes that they may actually be two aspects of the same mystery. Ever since Einstein penned his famous equation, E=mc^2, physicists have known that it's easy to make matter out of nothing but pure energy, provided that you end up with an equal balance of the normal matter and antimatter. Matter, of course, is the stuff you, I, everything around us, and everything we can see in the universe appears to be made of. Antimatter is like matter's Bizarro World twin. An antimatter proton (antiproton), for example, is the opposite of a proton in every way except mass, which means that if one ever runs into a proton, the two will instantly annihilate in a burst of energy. Because the universe was created out an energetic blast known as the Big Bang, you might expect that half the universe would be matter and the other half antimatter. If that were true, however, everything in the universe should eventually be destroyed as the two types of matter mixed. Instead, we're left with a surplus of normal matter. That's mystery number one. In recent years, mystery number two reared it's puzzling head. Much of the universe, it seems, doesn't appear to be made of normal matter at all. Instead, the universe is filled with a material so completely alien to us that we call it simply dark matter (for lack of a better name). We know it exists because it affects the orbit of stars and galaxies, and even the structure of the universe. We have yet to make or capture a bit of dark matter, so beyond realizing it's here, we're pretty much in the dark on dark matter. One solution, which is being proposed in a paper coming out soon in the journal Physical Review Letters, is that the amount of dark matter we can't see balances the matter we do see. That's not to say dark matter is antimatter. We don't know much about it, but we can tell it's not simply the opposite of regular matter. Otherwise there would be detectable dark matter stars and planets, as well as occasional dark matter meteorites blasting holes in the Earth. Instead, it may be that dark matter is only the opposite of matter in one way. Specifically, a particle of dark matter may have a negative baryon number. In case you've never heard of baryon numbers, don't worry; it's just a number that we think should be zero for the universe as a whole, but instead appears to be very large. Regular matter particles like protons have positive baryon numbers. If dark matter had the opposite sign of baryon number, everything would add up to give universe the zero overall baryon number that we would expect from the Big Bang. That would be a very tidy answer that ties up two loose ends at the same time, and makes the existence of the universe slightly less mysterious. The paper is only theory at this point, but its authors suggest at least one experimental test of their proposal. Very rarely, a bit of matter may run across a bit of dark matter and annihilate to produce a signal that looks a lot like a proton spontaneously self-destructing (i.e. proton decay). The problem is, people have been looking for protons actually self-destructing for a long time now, and no one has seen any sign of it happening yet. So it may turn out, right or wrong, that the theory may never be tested. And theory without experimental confirmation is little more than a just-so story, like the tale of how the leopard got its spots, why giraffe has such a long neck, or anything explained by string theory. To tell you the truth, though, I enjoy a good just-so story every now and then. But it'll be a lot more enjoyable if we can find a way to turn this particular bit of mythology into science. The Milky Way: It's just a giant bubble wand, blowing colossal gamma-ray bubbles that extend tens of thousands of light-years from the center of our galaxy. 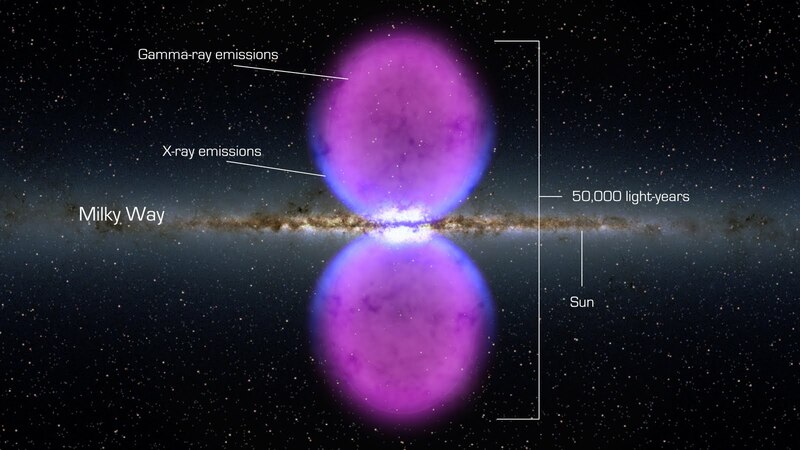 Scientists who have been examining images of the Milky Way taken by NASA's Fermi Gamma-Ray Space Telescope announced yesterday that they've discovered two high-energy balloon-like structures protruding from the top and the bottom of the Milky Way's core. 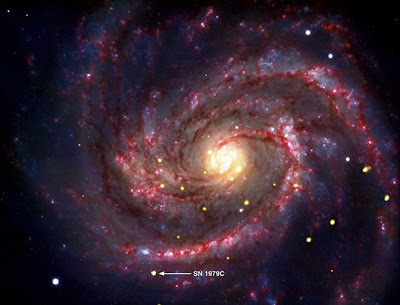 The radiation-emitting orbs extend a total of 50,000 light-years above and below the center of the galaxy. Traveling the length of just one of the spheres would be the equivalent of traveling to the Moon and back about 6.1 trillion times. Astronomers at the Harvard-Smithsonian Center for Astrophysics in Massachusetts, where the bubbles were discovered, said they don't yet understand the nature of the spheres, nor how old they are or how they were created. The astronomers processed data taken by the telescope to filter out a gamma-ray fog that permeates the Milky Way. The resulting image revealed the two orbs filled with significant amounts of high energy radiation. The orbs also appear to have edges, suggesting they were created by a single massive, rapid release of energy. Perhaps they were formed by the black hole at the center of the galaxy. 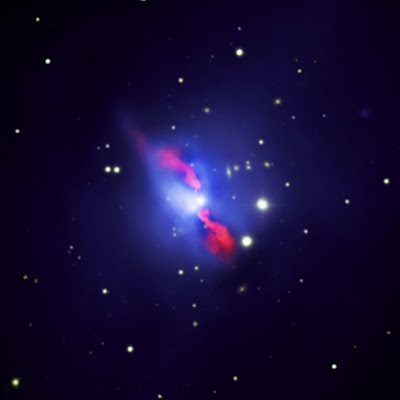 It may have spewed a particle jet over a period of a few tens of thousands of years as other black holes have been known to do. Or perhaps the bubbles are remnants of several million years of star formation, when huge, short-lived stars formed and then exploded releasing massive amounts of energy. Or maybe both. As with many new discoveries, for the scientists, there are more questions than answers. If you look anywhere between the constellations Virgo and Grus in the night sky, then you're looking right at the giant bubbles. Too bad gamma-rays aren't a part of the visible spectrum. The orbs would have revealed themselves years ago. It just goes to show that there's still a lot we have to learn about our own galaxy. If you're feeling really peckish, check out the full paper published today in The Astrophysical Journal. Fair warning: It's 46 pages long. *There isn't any need to fear. The bubbles could be deemed deadly simply because they are made up of gamma-rays, a form of electromagnetic radiation harmful to humans. 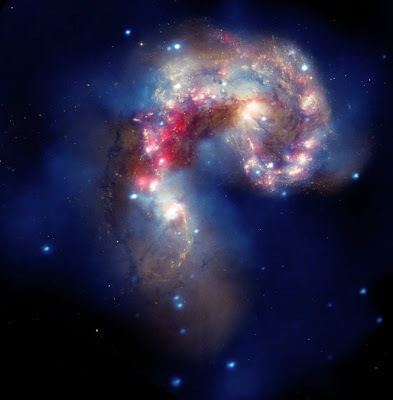 Luckily, Earth's atmosphere protects humans from space-bound gamma-ray invaders. A radioactive rabbit that was on the loose this week in the Hanford former nuclear reactor site in Washington state prompted state Department of Health workers to hunt for contaminated rabbit droppings in the area. The radioactive rabbit was among several bunnies captured over the last few days (a scene which calls to mind an iconic moment in Monty Python and the Holy Grail) at the site near Richland, Wash. The hopping critters were rounded up for testing after contaminated rabbit droppings were found last week. Only one rabbit tested positive for radiation contamination. State department of health workers used hand-held radiation-detecting instruments to look for contaminated droppings. After capturing the afflicted rabbit, the amount of tainted droppings they found decreased, leading them to believe only one rabbit was affected. None of the droppings, so far, have been found in areas accessible to the public. 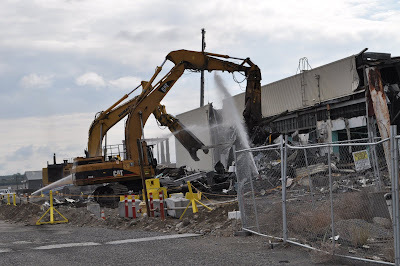 Washington Closure Hanford, the group responsible for cleaning up the former nuclear reactor site, thought the rabbit was most likely poisoned near the recently demolished 327 building. The building had been used during the Cold War to test highly radioactive materials in the process of creating plutonium for the United States' nuclear weapons program. Workers think the rabbit probably drank water containing radioactive cesium that had pooled in the building's basement. They had sprayed water to keep dust at bay while demolishing the building about a month ago. Radioactive cesium is one of the more potent types of radioactive materials. Though it washes out of the human body fairly quickly in sweat and urine, small doses (of 4.1 micrograms) have proven to be lethal to dogs who died within a few weeks of exposure to it. To keep animals out, Washington Closure workers installed a chain-link fence around the building and scented the perimeter with fox urine to discourage burrowing animal visitors. The workers also removed vegetation that might attract hungry animals and covered suspected areas of contamination with gravel and steel plates. For years, animals have wandered onto the site from time to time and become contaminated. In 2003, workers removed radioactive mud dauber wasps' nests that were found scattered across six acres of the site. The wasps had used sullied mud created from water sprayed at another demolition site to build their nests. In 1998, radioactive gnats and flies munched on discarded banana peels and apple cores in trash that was then taken to the Richland landfill. Thirty five tons of rubbish that might have mixed with the contaminated Hanford waste had to be unearthed and returned to the nuclear reactor site. Sadly, the unfortunate rabbit involved in the latest contamination calamity was euthanized and disposed of as radioactive waste. Our atmosphere is very active electrically, evidenced by lightning forming during thunderstorms. Though we can't see it, another short-lived and equally as interesting atmospheric phenomenon occurs alongside lightning in thunderstorms, and this one can create gamma rays, the most energetic type of electromagnetic radiation. In 1994, scientists first discovered that gamma rays, typically created by cosmic events in space, were also being created in thunderstorms. The events causing the gamma rays were called terrestrial gamma ray flashes (TGFs) and unlike lightning, they last only a few milliseconds (if that). Scientists have thought since then that the Earth-based gamma rays are created in conjunction with a burst of cosmic rays entering our atmosphere. The incoming rays strip electrons off of molecules. When the electrons are combined with a lightning strike, an electric field is created, and an "avalanche" of stray particles form into a narrow beam projected out towards space. Particle accelerators on earth do roughly the same thing, using electromagnetic fields to propel charged particles at high speeds. Though the process is the same, particle accelerators created by man produce beams with energies of many billions of electron volts while TGFs result in radiation amounting to only a few million electron volts. 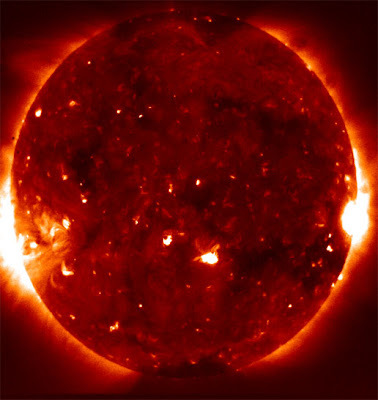 Models for the creation of TGFs expect the atmospheric avalanche to result in about 10 MeV (mega, or million, electron volts) of radiation production in the form of gamma rays. New research by a group of Italian scientists, however, has recorded observations of TGFs producing ten times the amount of radiation at 100 MeV, suggesting that scientists' understanding of how TGFs are created may be incorrect. Using the Italian Space Agency's AGILE satellite, the Italians detected multiple TGF events resulting in nearly 100 MeV of radiation using separate instruments. Their findings challenge current understandings of TGFs and suggest that more may be going on during the event, including the creation of neutrons which is already known to happen during lightning strikes. The Italian scientists hope that their new observations will reinvigorate interest in studying this elusive type of atmospheric phenomenon. Though gamma ray radiation can alter human DNA, the radiation generated in TGF events is not significant enough to affect those on the ground. The gamma rays also mostly dissipate at the edge of Earth's atmosphere so astronauts are also safe from the newly-generated radiation, though satellites in low orbit could potentially be affected. What's the best way to pack rice, coffee beans, or other granular materials? It's an important question for companies selling grain products or people in a rush to buy coffee, nuts or raisins who want to pack as much into a bag as quickly as they can. In the past, scientists typically only worried about two things when packing granular materials in a container: The number of grains and the volume of the container. However, new theories arose saying the amount of stress in the system ought to also be considered. 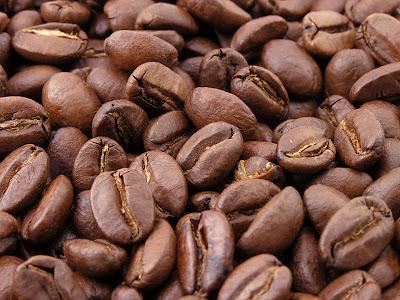 Imagine you have a large can half full of coffee beans and you tap it very gently. After each tap, you will see the beans bounce very little before settling back into place. In this case, the beans fall from a short height and the stress they place on one another (or how much they press against each other) after the fall is said to be small. If, however, you give the can a good thump, the beans will bounce much higher and fall much farther allowing you to pack them tightly in less time. To test the theory, a group of scientists from Argentina, Spain and Venezuela built a mock 2D container about an inch long and almost six inches tall and filled it with one thousand beads, each about the diameter of a grain of rice. The container was just wider than the diameter of one bead, allowing the beads enough wiggle room to slip from the sides of the container. The team used an mechanical shaker to tap the container at different intensities. At a high intensity, the beads settled into place after just a few taps. However, when the intensity was reduced to about a fifth of the original strength, it took almost 100 taps to reach the same packing. The experiment was repeated in a 3D container and had the same results. A few strong taps could settle granular material as efficiently as many small taps. The same behavior can be seen at home with a plastic container of trail mix. After a few hefty taps, the nuts and raisins will pack together tightly. Loosen them up and give them a hundred tiny taps and they'll pack together again, but at the expense of time. Accordingly, this new data might help companies packing granular materials pack just as effectively as before but in less time. A formula considering stress as well as the number of granules and the volume of the container could also help someone interested in packing less material in a give volume, like a filter manufacturer, since the formula can give the optimal tapping strength for a particular density. Though this discovery is something you might have stumbled upon in your own kitchen, it did come as a surprise to some in the granular physics community where little experimental research has been done. The next time you're alone with a can of coffee or a tub full of trail mix, give it a few taps to see it for yourself.